discover businesses + brands that use clean power, too. CleanPowerPerks graduated from the Cleantech Open Northeast’s inaugural Team Development Program (TDP) this October. Earlier this year, we were accepted into the program, which was created to provide mentorship services to cleantech companies that were too early-stage to make the Cleantech Open Northeast semifinal round. CleanPowerPerks completed the program with the guidance of mentor Kevin Scannell and was one of 10 TDP companies recognized as graduates at the Cleantech Open Northeast Regional Innovation Expo and Awards Gala on Thursday, October 17, 2013. Founder Tess O’Brien attended the Awards Gala at Boston University’s School of Management. CleanPowerPerks would like to thank its TDP mentor Kevin Scannell for his guidance and the Cleantech Open Northeast Team, including Ali Adler and Tim Peterson, for their support through this pilot program. Congratulations to the winners of the Northeast region and best of luck at the national competition! CleanPowerPerks Accepted as Cleantech Open Semifinalist! Our Office Has Moved, Across the River, to 50 Milk Street! We’re Looking for a Summer 2014 Student Apprentice! 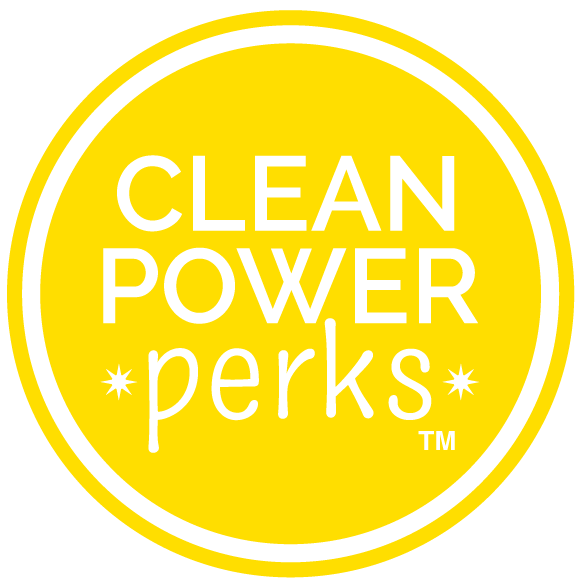 About CPP: CleanPowerPerks is the web-based program that connects clean-powered businesses with like-minded people + rewards them for consciously choosing clean energy. Everyone wins. © 2019 CleanPowerPerks. All Rights Reserved.